Supplying innovative and successful products to professional growers and the packet seed business since 1989. 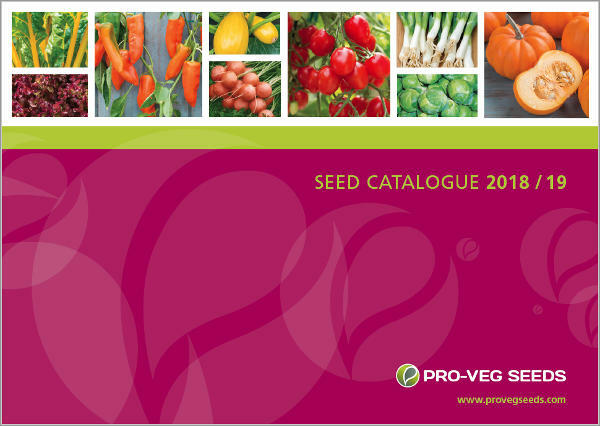 Pro-Veg Seeds, based south of Cambridge, buys and sells seeds from around the globe. In 25 years of trading, we have developed extensive global marketing relationships, allowing us to offer you the very best in plant breeding. Whether you are a professional grower or a retail packet seed company, we can help you find interesting new products for your market sector. We also invest in and run our own breeding programmes on varieties suitable for the home gardener, with our own-bred speciality patio tomato varieties, some of which have late blight resistance, being successfully marketed across the globe, with three All-America Selections awards to date. We look forward to continuing to serve our UK and international customers in the years ahead. Please explore our site and download our catalogue to find out what we can offer you. You can also download brochures from our Brochure Downloads page. We now distribute the products of 42 foreign seed companies and sell to the UK, continental Europe, Scandinavia, the USA and Canada, Japan, China, Southern Africa and the Maghreb Region.